Causeway Media Partner’s investment in You.i TV highlights a growing trend: sports-oriented media company’s buying or investing in experience technology providers. Here’s why they are spending the money. Today, You.i TV announced it had closed a new $23 million funding round led by Causeway Media Partners. Causeway is joined in the funding round by existing investors WarnerMedia, Kayne Anderson Capital Advisors, and Vistara Capital Partners. Causeway is an investment fund focused on sports media, sports technology, and related companies. The trade-off Mr. Higgins is talking about is the delicate balance between ad load and viewing time. The higher the ad load, the lower the viewing time. To optimize ad revenue, the provider must deliver just the right number of ads. Show too many ads and viewing times decrease along with ad revenue. Show too few and viewing times increase, but ad revenue is far lower than it should be. Among Causeway’s sports investments are two direct-to-consumer services: ETN Media, and FloSports. The services are wrestling with the ads versus experience problem today. Causeway is looking to You.i TV to help it find a way out of the balancing act between ads and experience for its sports investments. Significantly, You.i TV identifies reimagining the ad experience as one of the three things upon which it will spend the $23 million. Since the investment gives Causeway a seat on the board of You.i TV, it can participate more directly in the solution to the ad versus experience. Other companies focused on DTC sports delivery have already decided they need a more direct say in how their experience providers address problems like the ad vs. experience problem. Disney purchased a controlling interest in BAMTech for $1.6 billion in 2017 and used the video platform to launch ESPN+; it’s new D2C live sports service. Endeavor, a holding company with interests in multiple sports leagues, spent $250 million to purchase Neulion, a turnkey video platform specializing in the delivery of live sports. Expect more sports providers to play the hurry-up offense and invest or buy their experience tech provider partners to accelerate monetization and the resolution of other problems. 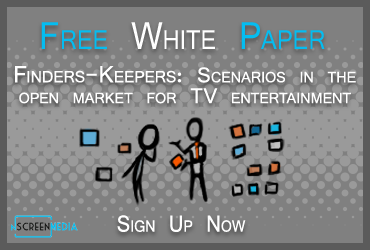 Sports content owners are becoming service providers as they deliver direct-to-consumer. There are still plenty of challenges in monetization and delivery for them to overcome. Many are buying and investing in experience technology providers to accelerate solutions to address the challenges.